Italian superyacht builder Riva, a member of the Ferretti Group, has officially delivered its 100 Corsaro superyacht to Hong Kong following the successful launch in October 2016. The Corsaro 100’s sporty exterior lines have been designed through a collaboration between Sergio Beretta and Officina Italiana Design. 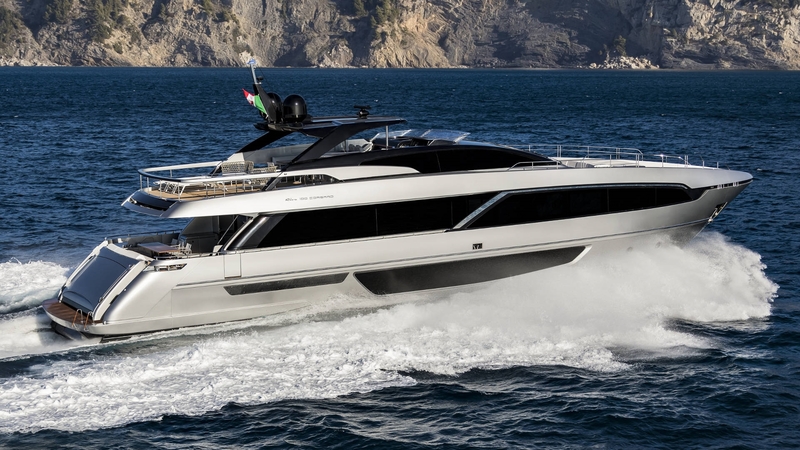 “Riva is back in the flybridge segment as a leader after creating extraordinary models that have conquered even the most demanding customers,” said Stefano de Vivo, Chief Commercial Officer of Ferretti Group. 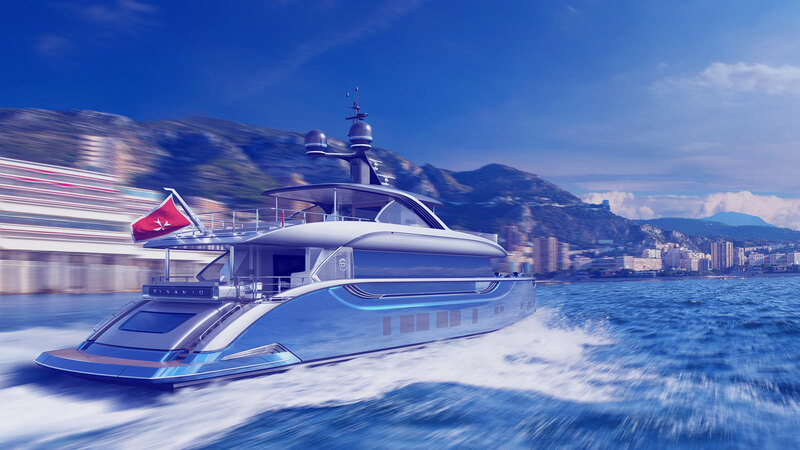 The Corsaro 100 will also be Riva’s first yacht to make its international debut in Hong Kong. Riva is offering the Corsaro 100 superyacht with two different engine packages and the 16V MTU Series 2000 M94 engines will propel the Corsaro to a top speed of 29 knots with a cruising speed of 25 knots. The yacht’s layout accommodates 10 guests across five staterooms including a full beam master stateroom on the main deck that Riva says will rival master staterooms in much larger superyachts. In true Italian style the Corsaro 100 also boasts extensive outdoor lounging and seating areas. Guests will find there is no shortage of options when deciding where to catch sun and enjoy the views outdoors. Amongst the many innovative features onboard the Corsaro is a tender garage that can be deployed at different levels for a variety of uses. Guests can use it as a traditional beach club, submerge it completely for in-water activities or allow it to flood the tender garage for easy launching and retrieving.